Large and in charge. That's how we like to describe them, but if you ask bystanders, we're sure they'd let you know that inflatable costumes are outright hilarious! 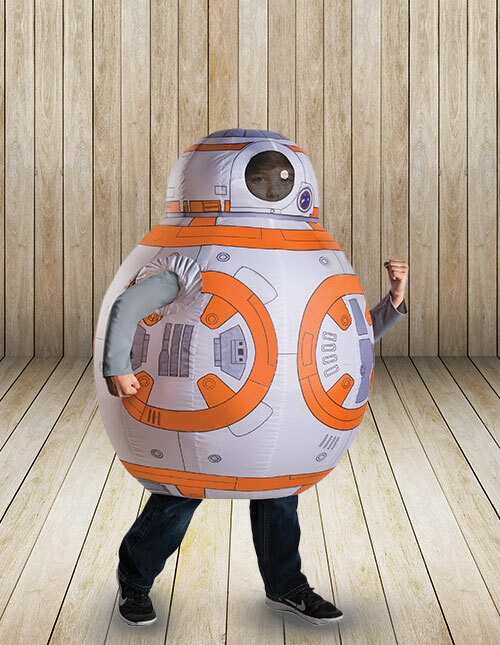 Inflatables costumes are one of the top costume trends, and we're proud to offer all of the most popular themes and characters. 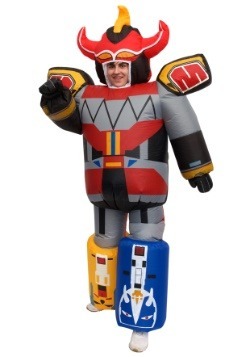 Choose the inflatable costume that's right for you, and all you'll need is some batteries to power up the air-powered effects! 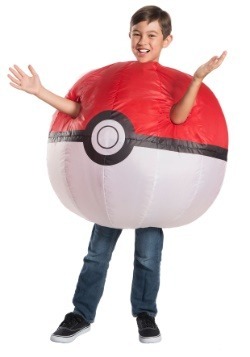 When you want to get a unique look that puffs you up, we think we have exactly what you're looking for... an inflatable costume! 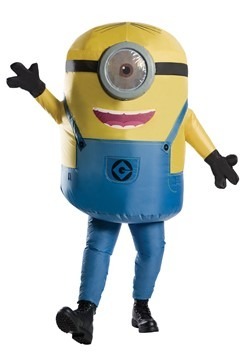 We have inflatable costumes of different types and sizes that will really be a hit at your party or event this Halloween. 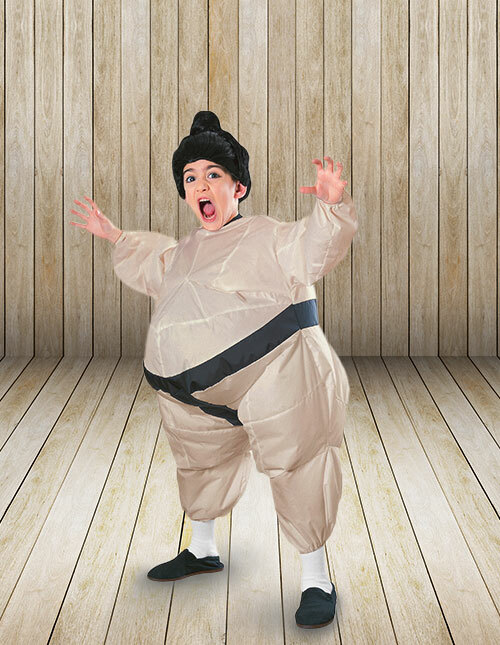 Our inflatable costumes give you the hilarious and often amazing look you won't find anywhere else. 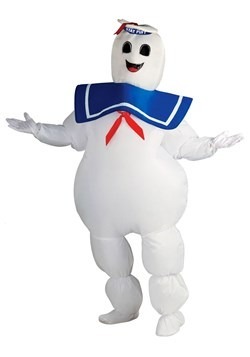 With licensed inflatable characters, animal inflatables, and even Pick Me Up costumes that create a dramatic effect, we have all of the top styles available right here at HalloweenCostumes.com. Shop our entire selection for some over-the-top fun! It’s time to get blown up! You know what we mean. Inflated! 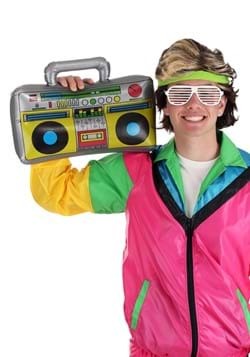 It’s the newest trend in the costume industry, and at least in our minds, it’s by far the coolest. Inflatable costumes have taken the world by storm with viral videos of the most popular inflatable characters raising ruckus. 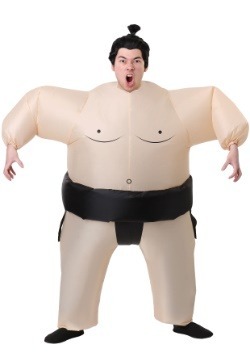 Well, the most popular manufacturers have responded with new styles and even more ways to get wacky with an inflatable costume. 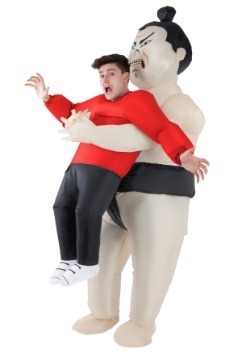 No matter what kind of plans you have in mind, if you’re eyeing an inflatable costume, you’re in for a great time. But, that leaves you with an important decision. Just which costume should you pick!? It’s not an easy decision, but we’re here to help. We’re not just costume retailers, after all, we’re bona fide costume experts, and we have the know-how and the expertise to guide you towards making the right selection. 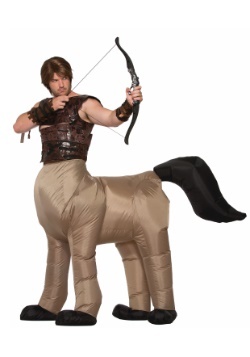 So, browse the inflatable costume ideas we have listed below, and read on for even more tips, tricks, and ideas to get the most out of your costume experience! You know the videos well. 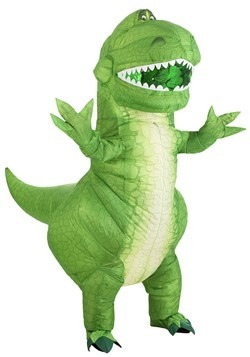 The inflatable T-rex costume has taken the world by storm with viral YouTube videos making the rounds on social media. 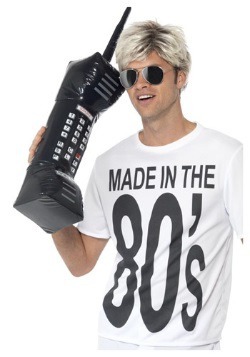 Of course, this fun meme is available for anyone to do, so long as they get the costume! 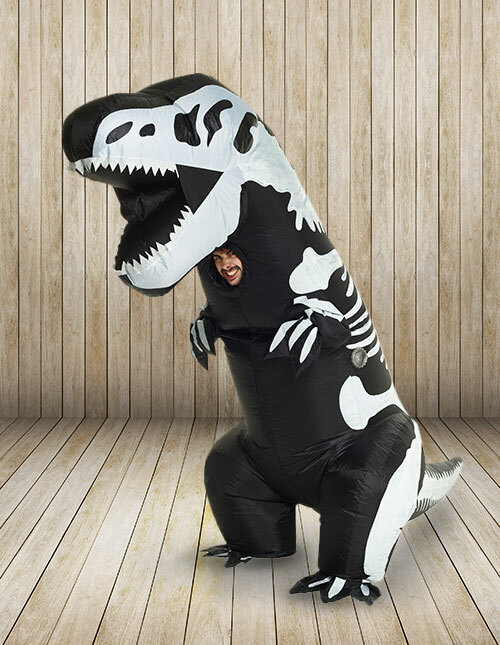 We’ve got that classic Jurassic World T-Rex Costume ready for you, as well as other equally awesome and totally sweet inflatable dinosaur costume styles. Check out some of these top selling items to see if any of them will have you ready to push the record button! 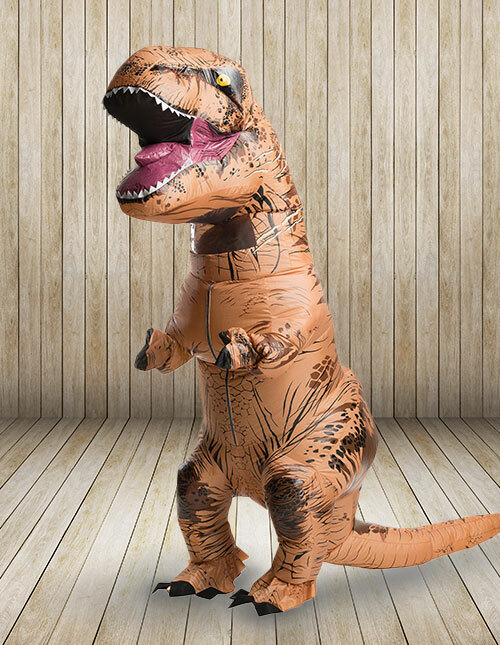 Our favorite Inflatable Dinosaur Costume has to be this skeleton t-rex costume. You know, since we only know about the T-Rex today because of fossils! 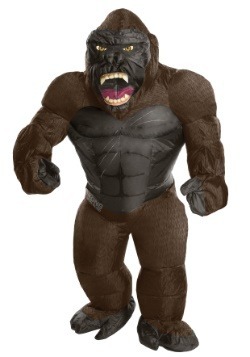 Wearing this costume would be like the skeleton on display at the natural history museum waking up and going on a rampage. Now, that would be pretty sweet! 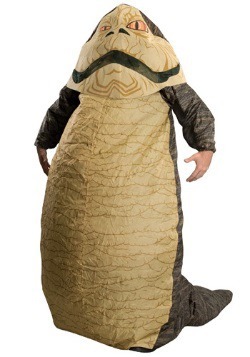 This costume features a face hole right beneath the massive dinosaur jaw, so you can be comfortable while creating a super-sized appearance. Godzilla has been the star of Japanese movies since 1954, and he’s even crossed the sea with mega-movies in the US with Godzilla (1998) and Godzilla (2014). 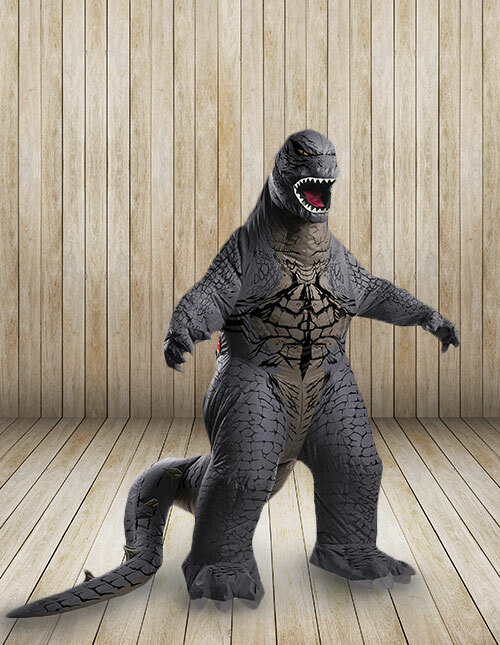 Well, now you can become the mega-famous kaiju by slipping yourself into this inflatable Godzilla costume. 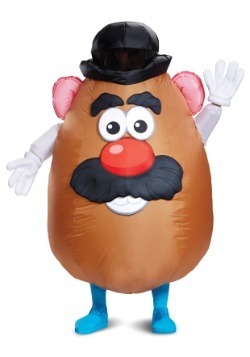 This costume is officially licensed and is a great representation of the classic character. 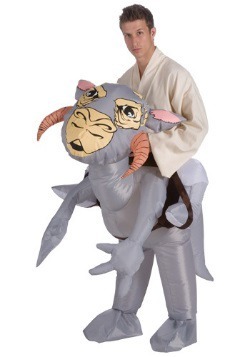 It even has an oversized tail that you can swing around while you create city-wide terror! Pro-tip: if you’re recording yourself on video with this costume, be sure to take the extra time to build yourself some fake city skyscrapers. 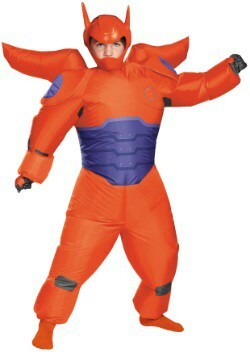 You’re going to look extra epic when you bring them smashing down! 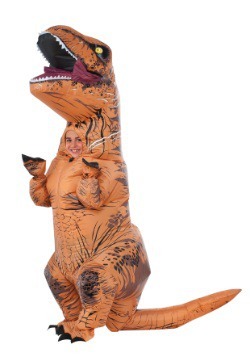 As we’ve mentioned, this is the inflatable t-Rex costume that started it all. 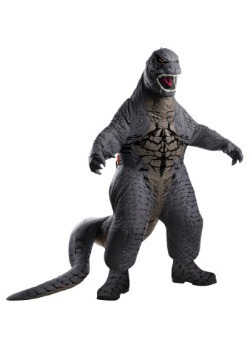 From the smash hit 2015 flick Jurassic World, this costume has become a veritable pop culture icon. 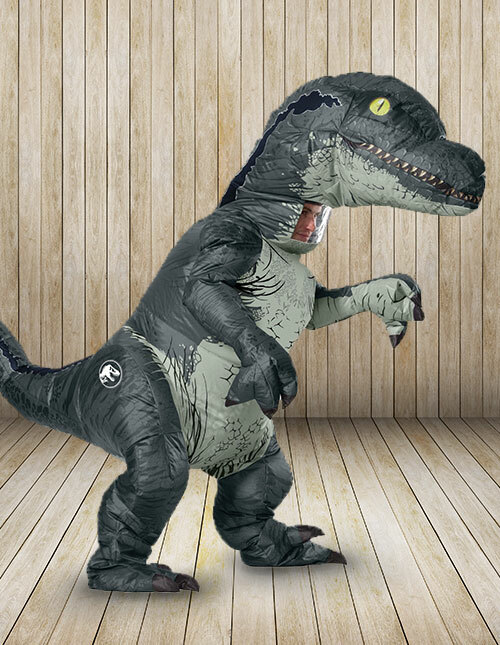 Well, now you too can suit up as Rexy from the Jurassic Park saga when you grab this officially licensed costume. 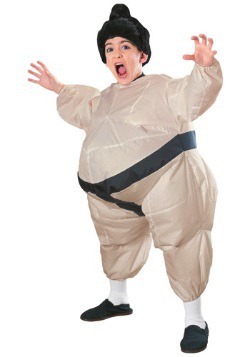 Use the battery-operated fan to inflate the costume and get ready to make some movie magic. 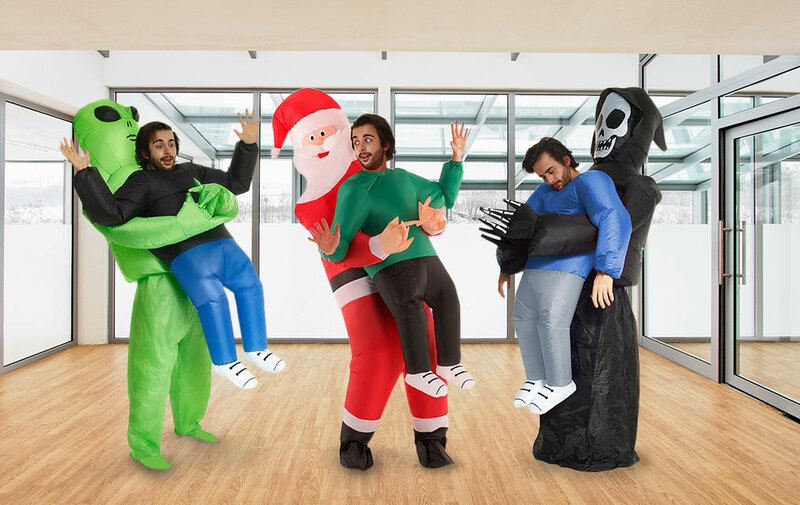 Of course, the funniest videos involve 2, 3, or 4 friends in costumes, so you might want to pick up a few to suit up your friends! Of course, with the popularity of the Inflatable T-Rex Costume, we knew it wouldn’t take long to get some of our other favorite dinosaurs as inflatable masterpieces. Blue, the alpha raptor trained by Owen Grady himself, of course, was a prime selection. 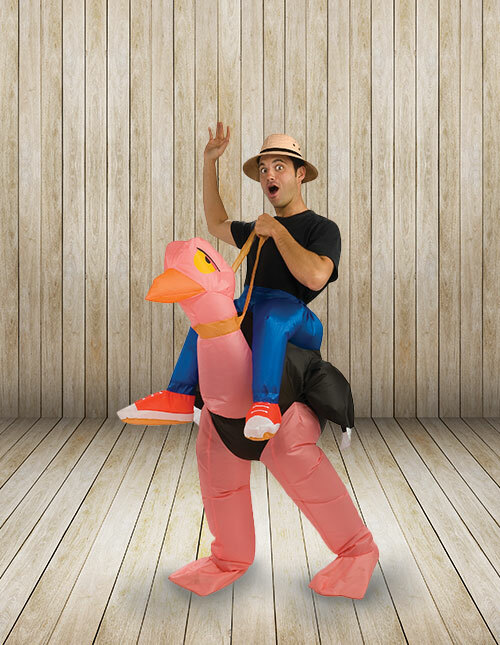 Well, now you can become Blue by suiting up in this adult Inflatable Velociraptor costume inflatable velociraptor costume! Team up with your buddies as Owen and Claire for a great group theme, or get your friend into the T-rex suit if you think you might have to face off against Indominus Rex! 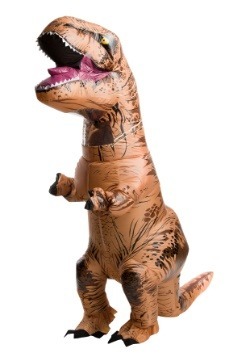 So, aside from Dinosaur Costumes, the top-selling Inflatable costumes are (drumroll, please…) funny inflatable costumes! And we can see why. 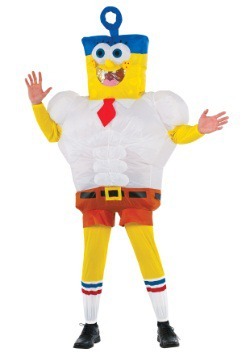 Inflatable costumes use their super-sized style to provide a comical effect above and beyond the typical costume, so it’s easy to see why funny themes are among the most popular selections. 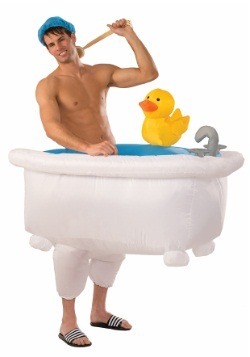 See if any of these funny costumes are the choice that’s going to have you slipping into an inflatable suit! So Ostrich racing is pretty exciting (and wild!) but there’s no reason it has to be dangerous. 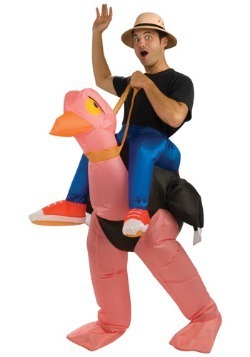 Skip all the practice needed to mount an ostrich to race around the track, and just get yourself into an inflatable osctrich costume! 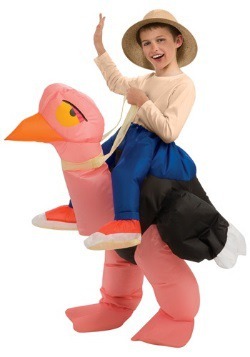 This clever costume cinches around the waist to create the effect of you sitting on top of a pink ostrich, since it leaves your upper half exposed to handle the reins. You can race around the back-yard at a summertime grill-out, or save it for Halloween to be the star of the costume party! Moooo! 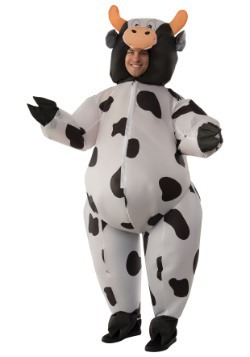 Moooove on over to the pasture when you decide to go as an inflatable cow this Halloween. 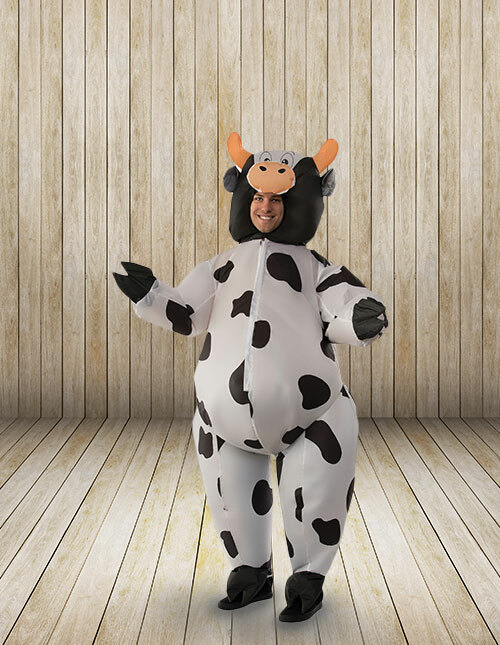 Of course, you’re going to be itching for a lot more than just barnyard fun, but we’re sure you’ll fit in just fine at the big costume party when you choose this hilarious style. 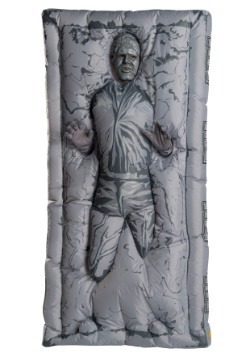 With an oversized head and white spots all-over, this inflatable costume features a hole for your face to fit through so everyone still gets to see your smile! Are you joining the professional rodeo circuit? Yee-haw! 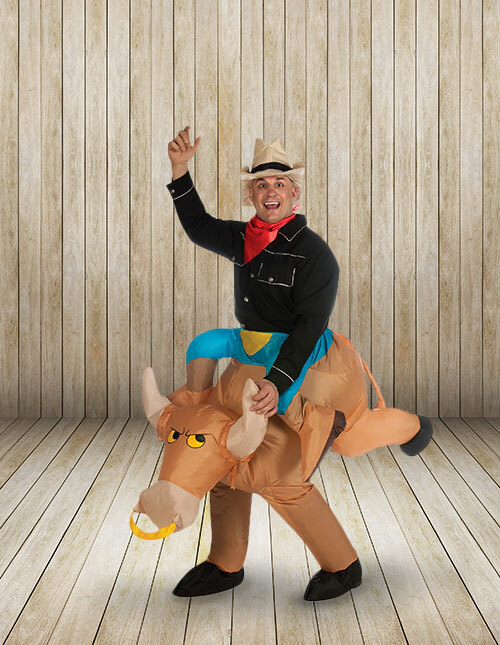 Of course, there’s no bull riding experience necessary when you decide to go in this inflatable bull rider costume. 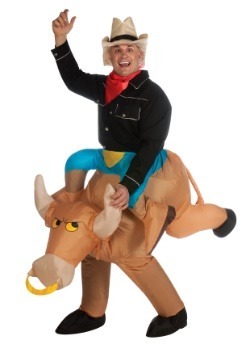 This costume fits around the waist (complete with false human legs) to complete the appearance of you riding a bucking bull. Complete the costume effect with a Western shirt and a cowboy hat, and you’ll fit right in at the Wild West costume party! 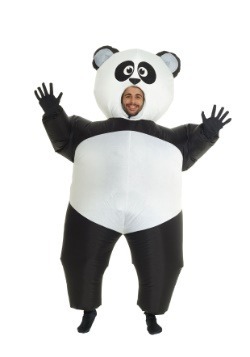 Pick-me-up costumes are a brand-new costume craze, and it’s easy to see why. They’re flat out hilarious! 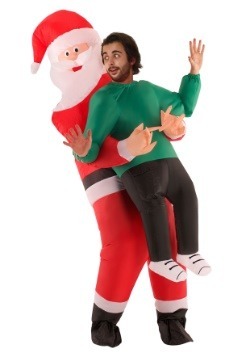 As inflatable costumes that just leave your head and hands exposed, they create the appearance of you being carried by a super-sized character. 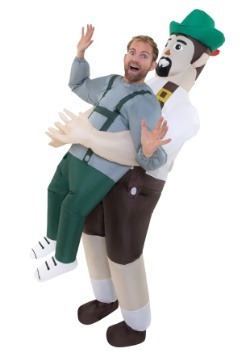 With lots of great choices, getting into a Pick Me Up inflatable costume is a great idea to express your personality. Are you a paranormal believer? 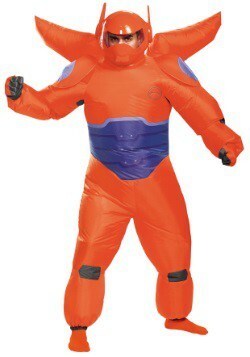 Just try the pick me up alien costume to recreate a close encounter of the 3rd kind. 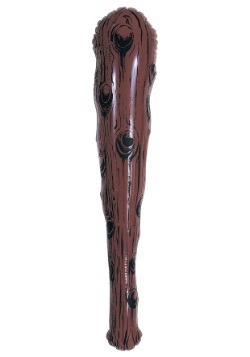 A grim reaper pick me up costume would be a great choice for a classic Halloween theme. And when the other holidays roll around? 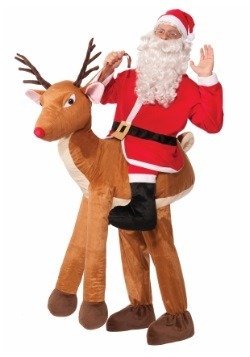 Well, then it’d be time to dress up in a Santa pick me up costume. Ho ho ho! 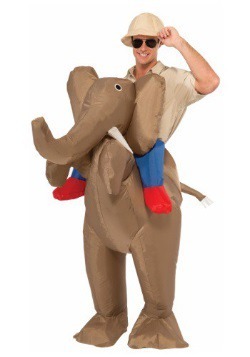 Animal lovers can dip right into our Inflatable Costume selection, too, because we’ve got great choice from the wide world of animals. These funny takes on zoo critters are always top choices for Halloween, and it’s easy to see why. You get to be a large animal, and you get to have a ton of fun! 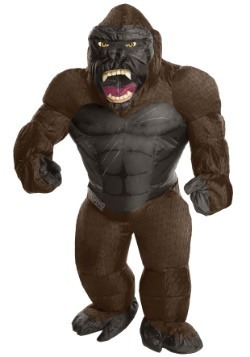 See if any of these animal costumes are just what you’re looking for this Halloween! 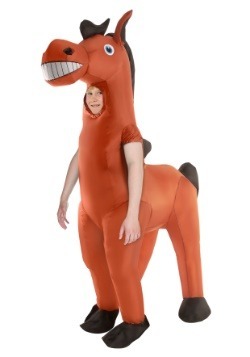 Why not be a hippo this Halloween? 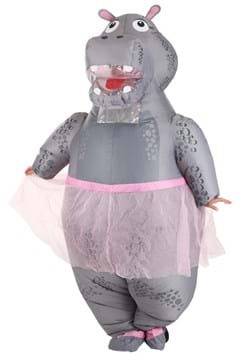 Especially, why not be a hippo in a tutu? 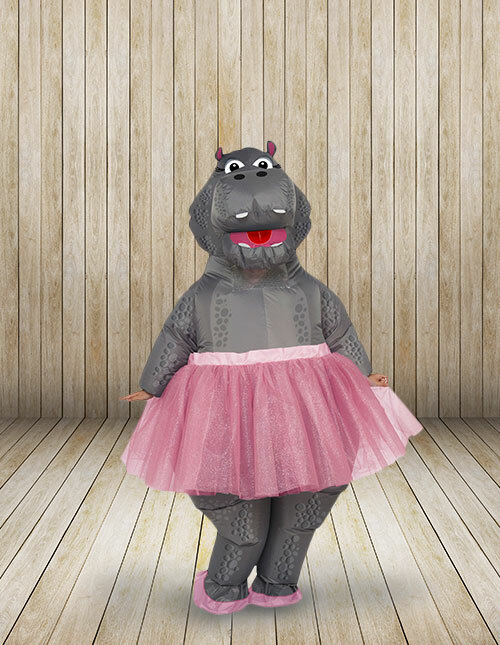 A fantastic idea, if we may say so, a hippo ballerina is sure to be a welcome addition to any costume get-together. Hippo ballerinas are quite popular in pop culture, too, going as far back as Disney’s Fantasia. 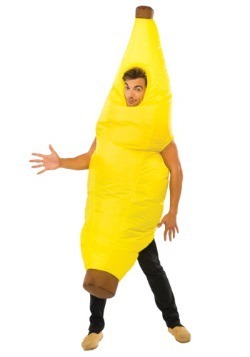 So, choosing this costume is sure to be a cool choice! 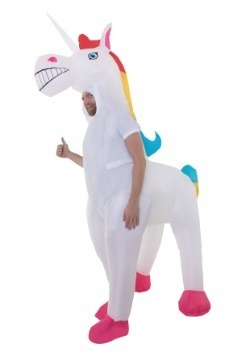 Okay, we fully acknowledge that unicorns are not a real animal. But when you have the chance to be unicorn? Be the unicorn! 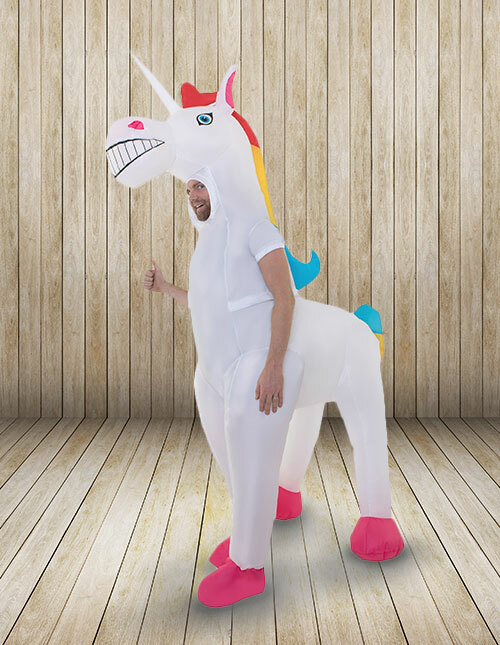 Of course, you can go above and beyond, and be a super-sized inflatable unicorn when you choose this unicorn costume It has colorful cartoon colors, and even a posterior section that follows behind you for the full horned-horse effect! 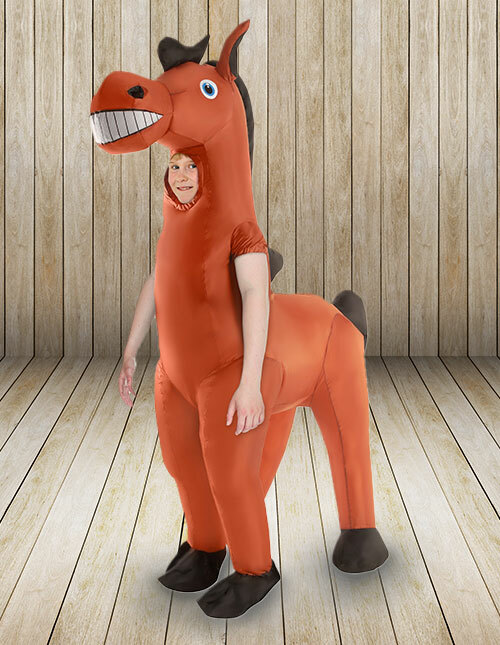 Being a horse is sure to be a ton of fun, so we’re sure any kiddo would be happy to suit up as a classic of the stable, the friendly neighborhood horse! 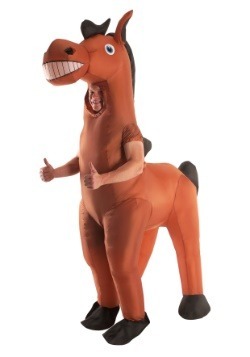 This inflatable horse costume features exaggerated details and the hind section that follows behind, too. We’re pretty sure no one’s going to mistake him or her for a real horse, so we don’t expect them to be giving out any pony rides! 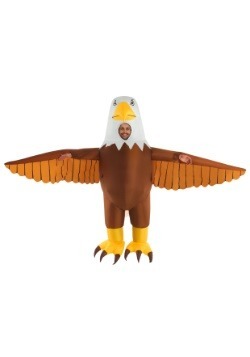 You can soar high into the sky as an Inflatable Bald Eagle when you choose this bald eagle costume. 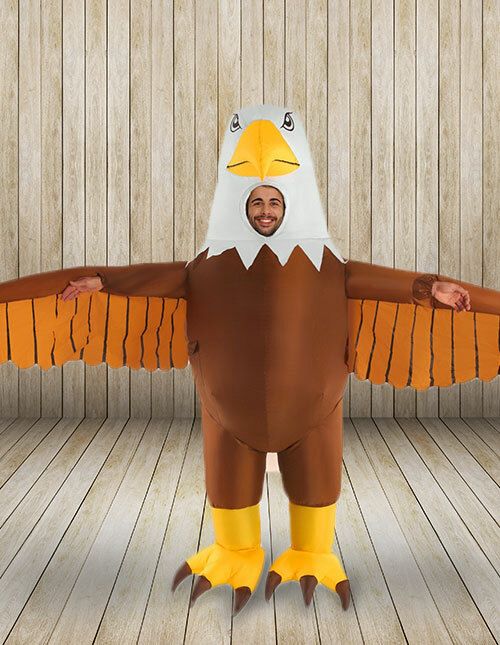 Be the patriotic mascot of your country, or just an Eagle who’s looking to party when you choose this hilarious costume. 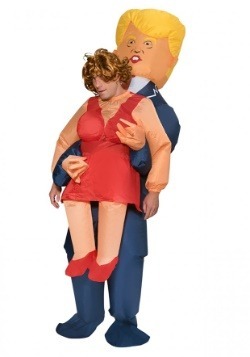 You could even wear this costume to your annual 4th of July party to make a very big impression! 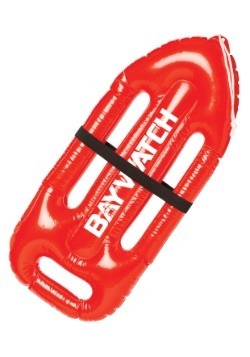 Kids are sure to love an inflatable costume for trick-or-treating or for dress-up day at school. Because how could they not enjoy some large-and-in-charge fun? With all the top characters from their favorite movies, we’re sure to have a choice that they’ll love. 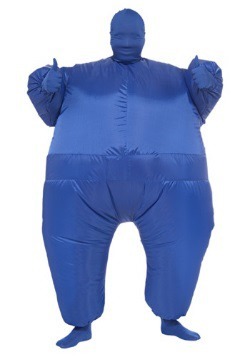 Check out these inflatable costumes for kids to see if any of them are just what your child is looking for this year! 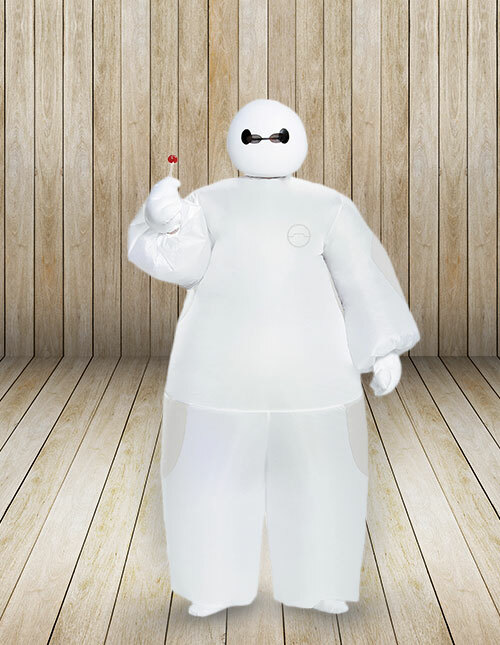 Baymax won everyone’s hearts in Big Hero Six, and most everyone agrees, he’s one cool robot! 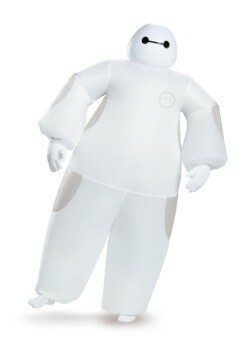 Of course, we’re sure your child would be happy to suit up as the lovable personal health care companion. 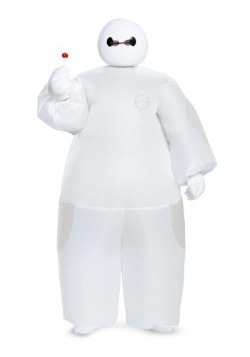 He or she just needs this Disney officially licensed Baymax costume! 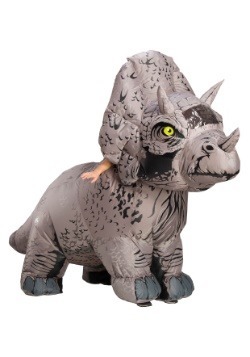 Get your kid this costume, and a lollipop or two, and we’re sure they’ll have a fantastic costume experience. Fist bump! BB-8 has taken the Star Wars universe by storm, and he’s probably even supplanted R2-D2 as the most beloved Star Wars droid! 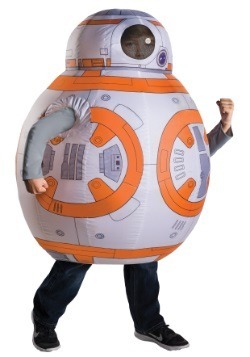 We still love R2 and BB-8 equally as much, but if your kid leans towards BB, we’re sure they’ll have an adventure when they go in this kid’s BB-8 costume. Styled with signature details from the newest Star Wars films, they’ll be ready for action. 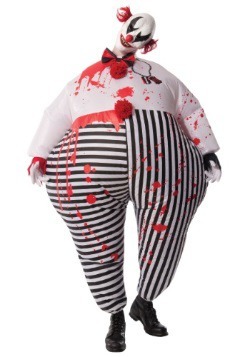 But they will be walking, not rolling- thanks to the leg opening in this costume! Slimer’s a cult classic character from the Ghostbusters franchise, and he’s a fan favorite of kid Ghostbuster wannabes everywhere. So, it’s only a natural choice that your kid would want to be the supernatural Slimer. 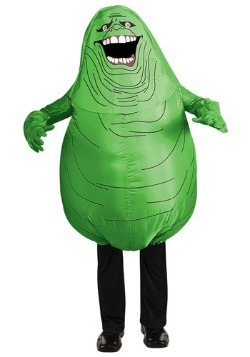 Get them suited up in this classic Ghostbusters Slimer costume, and they’ll be ready to float around your home leaving slimy green goo everywhere. Just kidding! 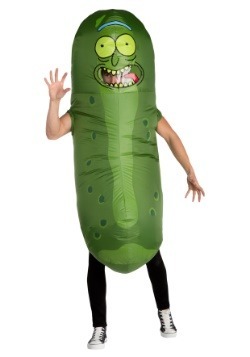 No slime involved with this inflatable costume. 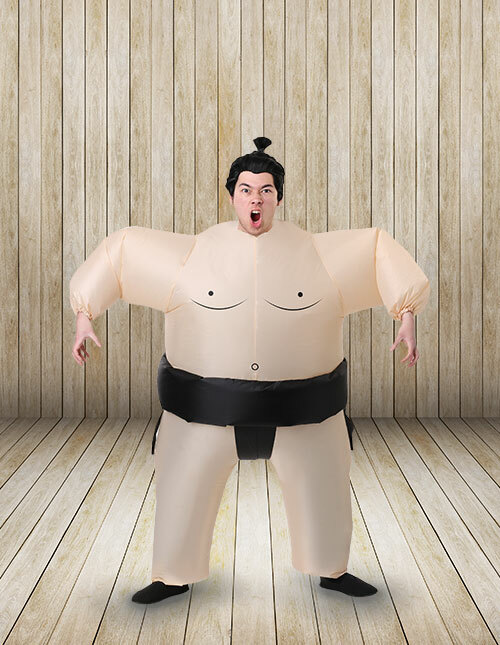 Your kids, too, can hop into the sumo ring as a large-and-in-charge sumo wrestler when they get suited up in this inflatable sumo costume for kids. They’ll be ready for mighty wrestling moves, or at least to make a big haul on the trick-or-treat rounds. 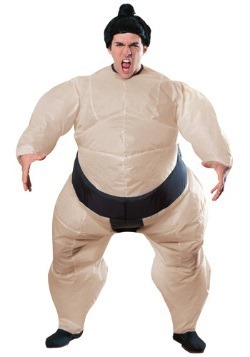 After all, who wouldn’t give a sumo wrestler some extra candy at the door? 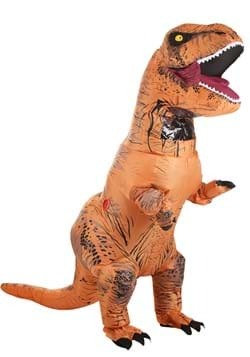 We’ve already mentioned that dinosaur costumes are top sellers for adults, but they’re equally as popular with kids, too! 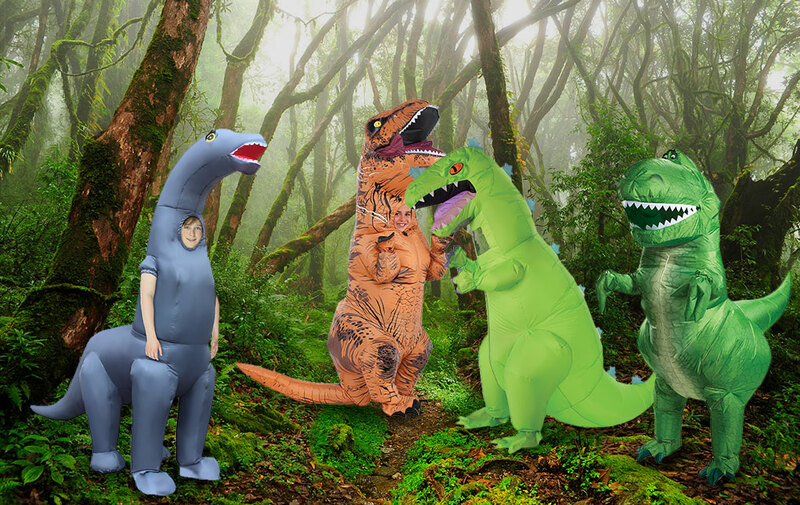 Suit your kiddo in one of these dinosaur character costumes, and we’re sure they’ll have an absolute blast being an inflated dino. As the Jurassic World t-rex, they’ll be the big bad dino who’s ready to battle the Indominus Rex. 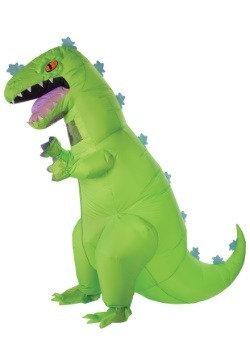 Or, in a Reptar costume, your child can become the beloved classic character from Nickelodeon’s Rugrats. 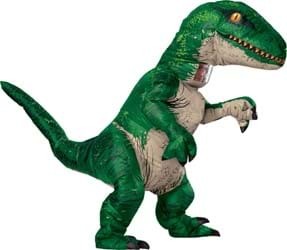 A Rex costume from Toy Story would be a great choice to relive some Pixar magic. And if your kid wants to be one of the biggest dinosaurs of all? 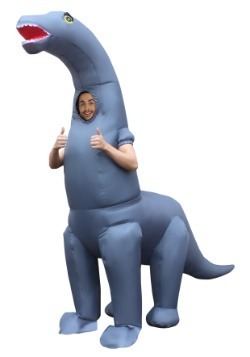 Of course, we have a Brontosaurus costume just for them!